Chikmagalur (Karnataka) [India], Mar 24 (ANI): The state police on Sunday recovered bodies of four people from Tunga river in Vidyaranyapura village near Sringeri here on Sunday. 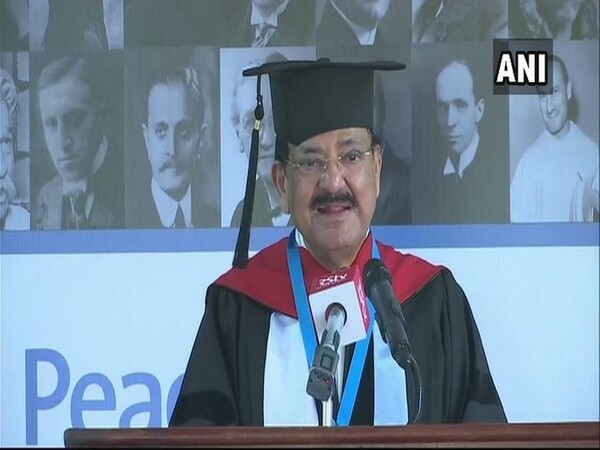 San Jose [Costa Rica], March 9 (ANI): Vice President Venkaiah Naidu on Thursday was been conferred an Honorary Doctorate by the University for Peace founded by the United Nations Organisations (UNO) for his contribution “to the Rule of Law, democracy and sustainable development in India”. Patna (Bihar) [India], Feb 21 (ANI): Bihar Minister of Building Construction Maheshwar Hazari has assured a thorough investigation into the money spent by RJD leader Tejashwi Yadav on his bungalow, which is allegedly as lavish as a seven-star resort. Washington D.C. [USA], Feb 19 (ANI): According to a new study, pregnant women may be at a higher risk of miscarriage if they take a commonly a commonly used medication, fluconazole which is used to treat vaginal yeast infections. New Delhi [India] Feb 8 (ANI): The Supreme Court on Friday dismissed a plea of Rashtriya Janata Dal (RJD) leader Tejashwi Yadav's petition challenging the Bihar government's order to vacate the bungalow allotted to him while he was the deputy chief minister.